Upon first hearing the Bob Marley song “One Love” in Ireland as a 12 years old boy Kevin Kinsella received his calling to play Reggae music. Founding his first band The Tribulations when he was fifteen, he soon found himself opening up for Toots and the Maytals who gave him strong encouragement to continue in his vocation. The Tribulations recorded their first full album “The Gate” in 1992 and went on to win the Yamaha Soundcheck competition which took them to Japan and Jamaica. In 1995 Kevin founded and named his second group - John Brown's Body and led them in being signed to Shanachie Records with whom they recorded several albums which are recognized by both critics and fans as classics of American Reggae. In 1996 he started his own imprint label I Town Records on which John Brown's Body's first album “ALL TIME” was released. It was during his tenure as lead singer and primary writer of John Brown's Body that he started and gave name to the group 10 FT Ganja Plant, whose first release “PRESENTS” was also on the I Town label. Since then, that group has gone on to record 10 albums for ROIR Records and continues to write and record. Amidst writing, recording and touring with both John Brown's Body and 10 FT Ganja Plant, Kevin has released 4 solo records under his own name; the latest one being “RIDING HIGHER STILL” on his own I Town Records imprint, with worldwide distribution through VP pal. Kevin Kinsella is recognized as a true disciple of roots reggae music and both a pioneer and veteran of the Reggae movement in the United States. 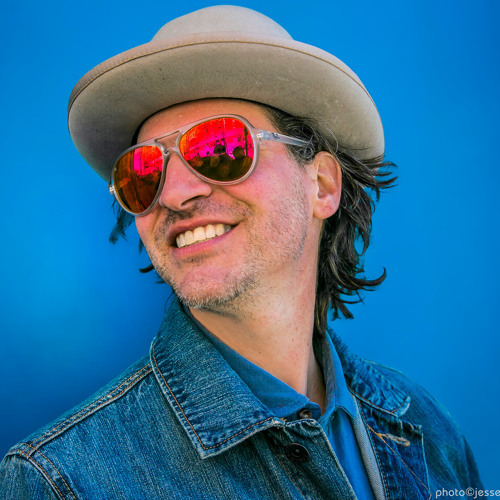 With a distinctive and powerful voice, a unique and recognizable writing style and spirit filled presence and performance energy – Kevin Kinsella continues to be an important contributor to Reggae music.